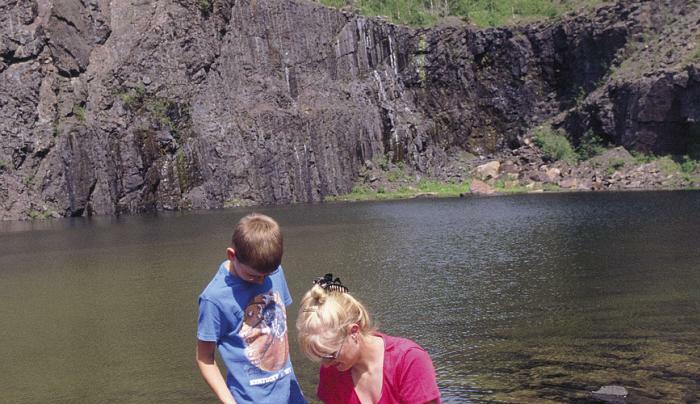 Fun for all ages ~ treasure hunting in the garnet mines! Starting at the Gore Mountain Mineral Shop you follow a tour guide, in your own car, to the site of the Garnet Mines. 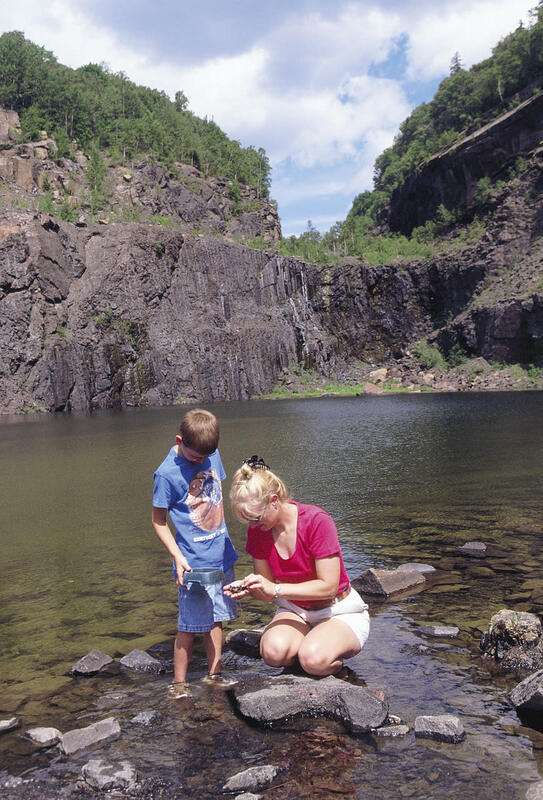 Your tour guide will share the history and geology of the Garnet Mine and demonstrate how you will find your own garnet gemstones, large garnet crystal faces and beautiful, museum-quality mineral specimens. You will visit the # 1 open pit where you can collect your own garnets. The mine site is flat, making it good for walking, and wheelchair accessible. Back at the Gem and Mineral Shop you'll weigh your garnet rocks and our trained staff will help you identify your gemstones. You now have your own treasure! We welcome groups and bus tours. Your group will be accompanied by an experienced guide who will work within your time frame. Garnet is the Gem of the Adirondacks and Barton Mine has garnets! These are the hardest garnets in the world and are found only on Gore Mountain ~ making the garnet extremely rare. In 1969 Governor Nelson Rockefeller decreed the Barton garnet the New York State Gemstone. Garnet Mine Tours is honored to be designated a Path Through History attraction.